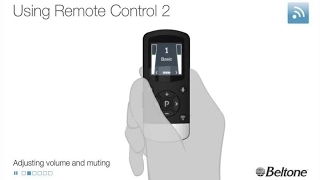 Beltone Remote Control 2 is a handheld device that lets you effortlessly and discreetly monitor and change environmental programs, and adjust the volume of sound you hear coming from the environment, or streaming to your hearing aids from TV, PC, phone and more. 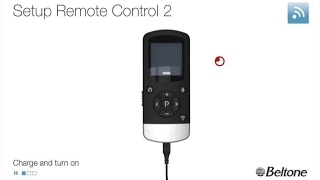 Its big screen and simple controls make it fast to manage sound from your surroundings, and to start and adjust sound streaming wirelessly from your connected devices. You can make adjustments wherever you go. Extremely user-friendly, it's simple to see volume level, battery status and which program is in use. Small and lightweight device for hands-free calling.